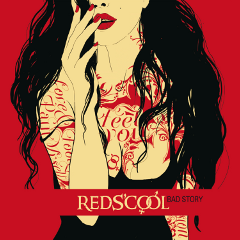 REDS'COOL will release the second album "Bad Story" through Music Buy Mail on October 18th. REDS'COOL was established in St. Petersburg, Russia in 2011. They play classic hard rock in the vein of Gotthard and Whitesnake, with modern interpretation, turning to blues and art rock. REDS'COOL proved to be a potential new hard rock act from Russia, by sharing the stage with such mega stars as Gotthard, Joe Lynn Turner, Whitesnake, W.A.S.P, Alcatrazz, Gorky Park, Doro Pesch, Royal Hunt, Kingdom Come, Lordi, Grave Digger, and Lake of Tears. Their debut album is "Attraction" (2011) which reflected the band’s high professionalism and technique, and was recorded at band’s own studio SPACEX, mastered by legendary mastaring engineer Mika Jussila (HIM, Nightwish, Apocalyptica, Lordi, Children of Bodom) at FINNVOX Studios in Helsinki. Before the album went on sale the song "One Night" was repeatedly aired on Radio Rocks and stayed on top of the charts for weeks overtaking legendary Whitesnake’s single. 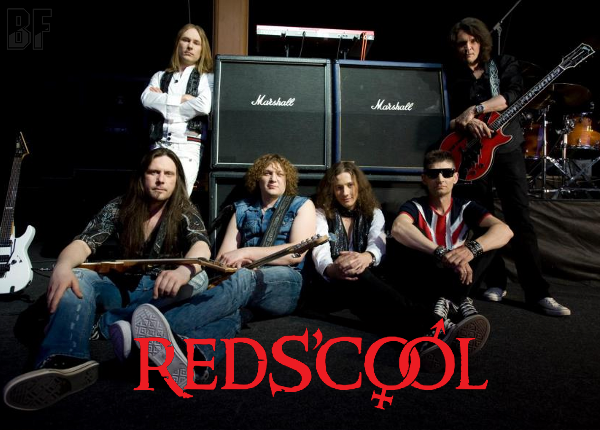 In summer of 2011, REDS’COOL played at Tavastia club in Helsinki, performed a solo gig at House of Rock in Kouvola, and amazed the sophisticated audiences at the "Harley Davidson" and "Wervolves" bike festivals. Also the band played at the Narva Bike Fest, Tartu Rock Fest (AmmeRock), and Liuthanian Bike Fest. The band has supported Glenn Huges, Royal Hunt, UDO, UFO. They will be on tour with BLACK STAR RIDERS as a support act from October 23rd to November 16th, including HARD ROCK HELL VII in the UK.